Halloween is coming up soon. I figured out that would be a suitable time to organize the party. At least, we don't have to crack open our brains to think of a theme and all. Everyone agreed and we delegated some tasks. Some with decorative skills would fall into that task and some would have to prepare dishes for the party. As for me, I had a wonderful idea. I will be in charged in preparing some candy for the children and adults who have sweet tooth. 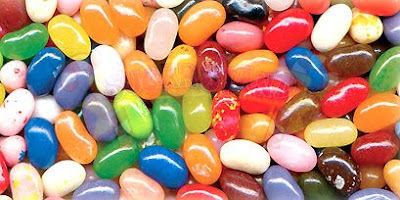 This reminded me of irresistible bulk candy from Sugar Stand which I mentioned here yesterday. The bulk candy offered by Sugar Stand is simply mouth-watering and worth buying especially when it comes to such occasion where candy is a must. There are various types of flavors to choose from. Simply amazing I would say. The trick-or-treaters would certainly enjoy their candy this coming Halloween. Children and adults would certainly not miss this. 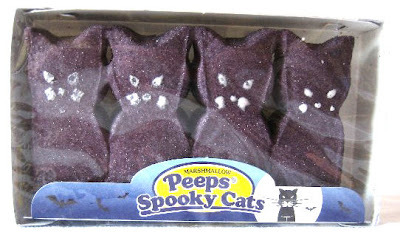 Imagine if I decorate one the tables using Chocolate Pumpkins and some Marshmallow Cocoa Cats? That would be really cool, huh? Sempat do ur PB yay! Enjoy your long weekend Mon!! Selamat hari raya dearie! Have u seen the angry kitty at WOAFS,black angry meow lol! Ghost candy is adorable!! BOO! ok! I don't think I can drop 300 today...need to go and ZzzZzz...looks like another long day 2moro! So are you going to dress up as a witch, ghost or vampire for your Halloween party?